Currently displaying all 2036 items in the archive. Enter a search term or click on a filter. Full digital copy of the minutes of parish council meetings from the foundation of the council in 1895 through to 1923 in six segments. Full digital copy of the minutes of parish council meetings from 1924 through to 1934 in ten segments. Full digital copy of the minutes of parish council meetings from 1934 through to 1947 in 12 segments. Full digital copy of the minutes of parish council meetings from 1947 through to 1964 in 13 segments. Full digital copy of the minutes of parish council meetings from 1964 through to 1976 in 13 segments. Full digital copy of the minutes of parish council meetings from 1976 through to 1978 in two segments. 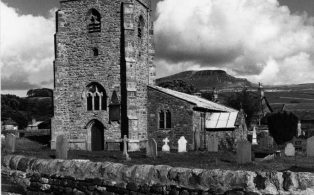 An introduction to the Giggleswick Project and listings of wills by surname.